Greetings from East Texas! My name is Sharon. I am mother of two active boys, an attentive wife, loving daughter, sister and a loving Aunt. I also love working full-time at a family medical office with a great doctor and another group of great people. As you see, I wear many hats! I love taking care of my family and others! My focus on my health became important when I experienced the unexpected and sudden loss of my father due to a cerebral hemorrhage (stroke) in March 2012. Shortly after his passing our mother suffered a stroke in August 2012 that caused right side paralysis and a speech impairment. Our parents were only 54 and 53 years old when they had their strokes. Genetics can’t be controlled, but I knew that diet and exercise could help. Our parents both dealt with hypertension, elevated lipids and diabetes. I decided to use exercise as a outlet to release all my stress and anger from all of the hurt and pain that happen in such a short amount of time! I was determined to drop some weight and try to become healthy again. I slowly incorporated small changes into my lifestyle everyday. I joined a gym and went 5 days a week with my husband. We eventually purchased a treadmill and elliptical. I cut breads and carbonated beverages from my diet. I was very determined. Now, my diet consist of many fruits, vegetables, lean cuts of meat and lots of water. I want say that I didn’t cry sometimes and even think what’s the use. 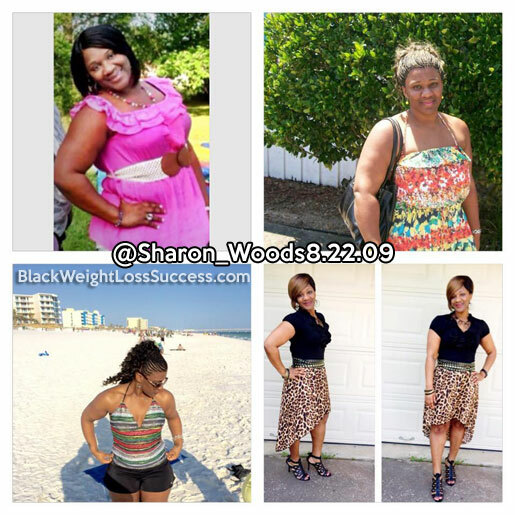 My motivation was simply not to be another victim to heart disease, diabetes or stroke. I wanted to live to see our sons grow into old men. Walking on the treadmill and elliptical, using resistant bands, doing planks and making diet modifications were footsteps to help me progress toward my goal. I knew that I had to make lifestyle changes and realistic goals if I wanted to establish a regimen that I would enjoy performing and continue. I was originally in a size 20 and I can happily say that I have shed 65 pounds, several inches and can now wear a size 12 pants and medium shirt. I don’t focus on a number, I just to be want to be healthy! I definitely enjoy my “WoW” moments! It’s so easy to get out of shape, but harder than ever to get in shape! I’m thankful for endurance and Gods grace. I plan to continue on my journey. Weight management is a process that takes dedication and determination. You have to keep moving forward even after the urge is gone that you had from the start. When I have bad days, I just keep in mind that I have tomorrow to try again and if I still fail I have next week to start over. If I struggle during that week, I remember that I have several new months coming to restart again, and if all else, I can always try again in the new year. i want too lose more weight and tone up.